Roka is a play tower which is designed to test children’s gross motor skills, because there is no ‘easy’ access to the platform on the first floor. The only way to use the slide is by first scaling the vertical climbing wall panel, which is designed with holes and grips. And with the engraved measuring scale, you can see how far up you’ve come. Roka is a play system for slightly older children aged about four years and upwards. The floor height is 140 cm. 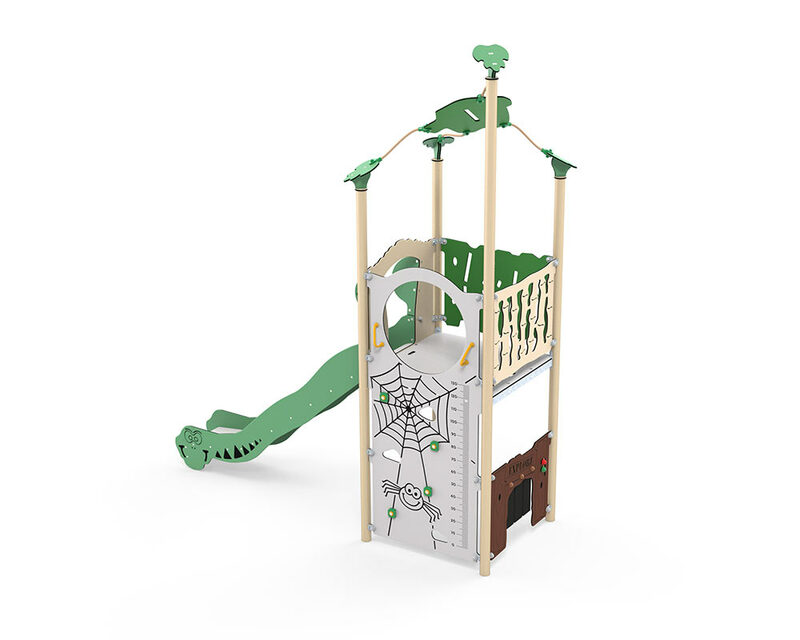 Apart from the fact that LEDON’s play systems have been developed in cooperation with children and have a high play value, safety is also a top priority. The entire Explore series has been approved in accordance with the European EN 1176 standard, which means that the equipment complies with strict safety requirements.